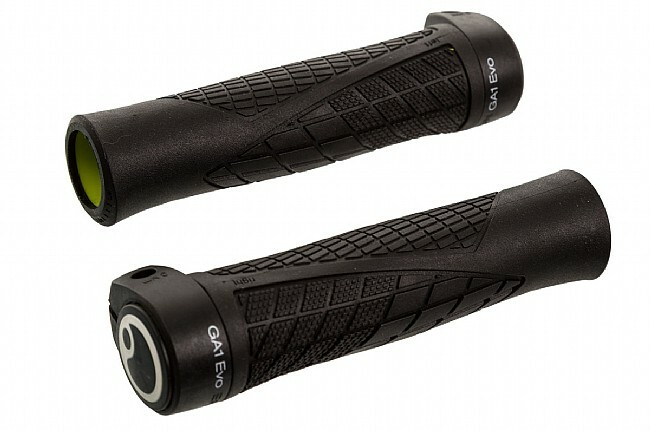 The engineers at Ergon definitely know about making comfortable grips, but they also have a good sense of aesthetic that they've put to work on the GA1 Evo to make a sleek shape that works on any mountain bike. The lightweight silicone rubber features 4-zone profiling for optimized grip and comfort. The sleeve of the grip varies in thickness to improve damping, and a cut out area under the forefingers allows for enhanced bar feel. 118 g / pair. Carbon-safe composite clamp.